I switched to this a few years ago from the shu uemura cleansing oil becoming too difficult (and too pricey) to purchase in the UK. At first I wasn't much of a fan is it is much thicker than the shu uemura and the smell wasn't all there either but it grew on me and now I couldn't be without it!! It's my holy grail!! I've gone through about 6 bottles and I am in no rush to find an alternative because this is perfect. I use it to take my make up off everyday, 2 pumps and its all off effortlessly!!! Or 3 if I have heavier eye make up on to make sure I wont rub any eyelashes out. Its so gentle on the eyes. Skin is left feeling so soft, smooth and feels so nourished and moisturised once its washed off. A little goes a long way. A bottle may last me about 4-5 months. You'd be mad to look at other products because this the best for cleansing oils and totally affordable too!! That's probably my 2nd or 3rd bottle of this cleansing oil! It's perfect for taking a full face makeup off and it's perfect for the 1st step of cleansing your face if you're a fan of double cleansing. It leaves the skin clean, hydrated and nourished. 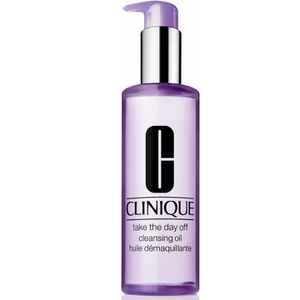 Last week I had finished my last bottle and had to use micellar water before my new one arrives...and my skin was feeling dull and lack of glow which says a lot about this product. I also want to try the cleansing oil for large pores from the same brand but I am so happy with this one, I don't want to risk it for now. 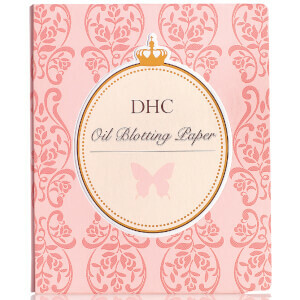 I love the whole DHC range but this makeup remover is the sh*t! I used makeup remover wipes for years and it was always such a mission to get my skin total makeup free. 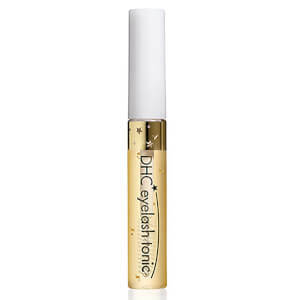 This product dissolves waterproof mascara in seconds. Worth every penny! I absolutely love this makeup remover. It is the best I have tried. Even better than Emma Hardie although that’s also brilliant. I love that you can remove eye makeup aswell with it and you don’t need a separate remover. It doesn’t dry out the skin. Also the minis are brilliant for travelling and a little goes a long way. Excellent. I use this as step one of two step cleansing in the evening and it’s excellent. It really dissolves oil and make up. And if you add a little water, it feels really good. It’s a bit more expensive than I would like but it lasts a long time, so it’s fine. My go to makeup remover!!! I had received a travel size of this oil as a gift with purchase about a year or so ago, but only now started using it... It just became my go to!! Simple to use, doesn't leave any residue, metls all my makeup including mascara!!! No tugging! Just a gentle massage, for half a minute or so. Then rince and you're good to go! I usually do a double clease routine, but this alone removes everything! And it doesn't feel greasy or dry! Perfect! I'm probably going to purchase a full size of it! I really love this product as the first step in my double cleansing method. It's cost effective and really good at it's job. I don't wear makeup often ( a couple of times a month) but when I do, I always use this on my dry skin to take my makeup off. I wash off with water and follow on to cleanse with a non-oil based cleanser, as per the double cleanse method. Using this oil cleanser is so much better than makeup wipes, in that it actually gets rid of the makeup and it doesn't leave my face stinging and dry like makeup wipes do. Skin does not feel greasy afterwards as well, which is a bonus. This product hasn't broken me out at all either, and I like how it's available in a smaller size for you to try out. I also use this oil when skin gritting, and it works great! Really lovely product, I’m not going back to face wipes ! I have really oily skin and have struggled to find a cleanser that works for my skin. This oil gets rid of makeup with ease whilst leaving your skin clean and soft without it feeling oily or clogged afterwards. Highly recommend!